I have to admit, Battlefield 3 flew mostly under my radar for the past few months except for the week or so leading up to its release. I'm an RPG type of guy, and I'm slavering over Skyrim, The Old Republic, and Mass Effect 3, a holy RPG trifecta that leaves me wondering where I'm going to find the time for each of those games. Still, I was a huge fan of Battlefield 2, and it's time to put boots on the ground with 63 other players once again. 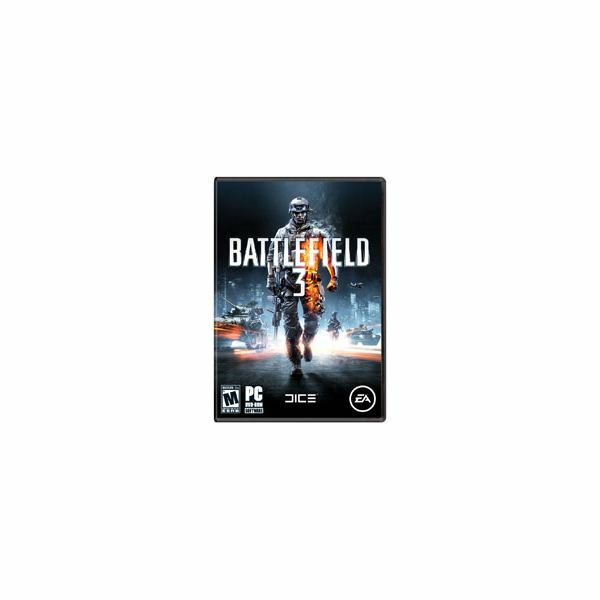 Even though DICE (EA Digital Illusions Creative Entertainment) has developed no less than five full Battlefield games since 2005's Battlefield 2, Battlefield 3 marks the first return to the previous game's size and gameplay. It's also the first to return to a PC-centered development (not counting 2009's free to play Battleifled Heroes), and it shows. We all knew the Frostbite 2 engine looked great from the beta, and it's no less impressive now that the game is finally here. It's a Battlefield game, so we know it's going to be good. Still, how well does it stack up against the other games in the series? Less importantly (though everyone on the Internet seems to care more), how well is Battlefield 3 going to compete against Modern Warfare 3? 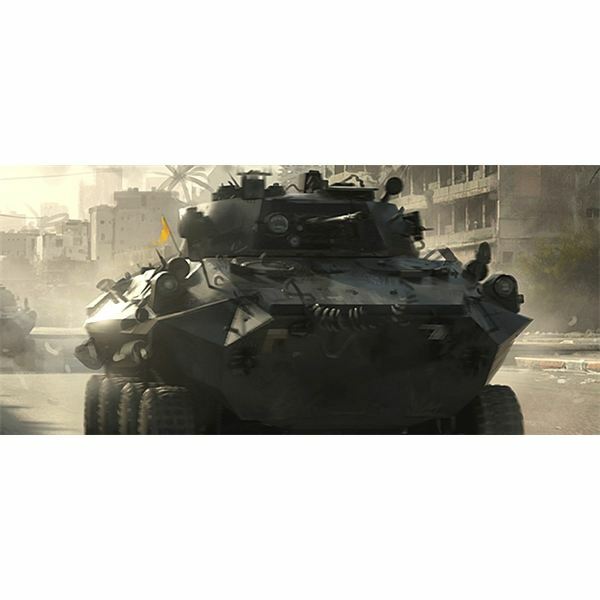 Read the Battlefield 3 review to find out. After trying out the single player campaign and multiplayer maps for several hours, I feel a pressing urge to bitterly complain about the installation process and various menus DICE provided. Knowing that EA was pushing its Origin service, a new competitor to Valve's Steam, I wasn't surprised to learn that I would need an Origin account before installing Battlefield 3. Even though I don't remember ever signing up for Origin, I already had an account with Dragon Age II and The Old Republic already listed under my games. I'm pretty sure my old EA account simply transferred over to the Origin store. With that confusion out of the way, I installed the service on my PC, only to learn that I would also need to install a web browser plug-in. I didn't test it with IE, Opera, or Safari, but it works great with Firefox (more on what the plug-in does later). However, there weren't any installation folder options, so it installed automatically to my C:\ drive. Finally, Origin started installing Battlefield 3 after what felt like some more needless headache (if Origin is installed to another hard drive, why does the game automatically install to my WIndows drive?). Maybe Valve spoiled us all with Steam, which hardly requires any user input at all. Origin isn't difficult to use so much as merely inconvenient, but it's still pretty young software, so I'm willing to give it a few months to mature. It was finally time to boot the game up, or so I thought. Origin started Battlefield 3, except Firefox opened first to a page listing my BF3 account stats, server listings, and the ability to start multiplayer, co-op, and the campaign. Unless this is your first PC game ever, you'd probably wonder why the game itself didn't boot up immediately. That's where that browser plug-in I mentioned earlier comes into play. Instead of building the main menu into the game client, DICE put it on Battlefield.com. With nobody to play with (until my friends get off work this evening, that is), I tried both the quick match and campaign options. Unfortunately, clicking on the quick match link boots up the campaign menu anyway, a bug I hope DICE rectifies in short order. However, the multiplayer link opens up a server list page where I can filter servers by open spots, maps, mode, and other criteria. Before I started out in multiplayer, I needed to test the waters in the single player campaign. 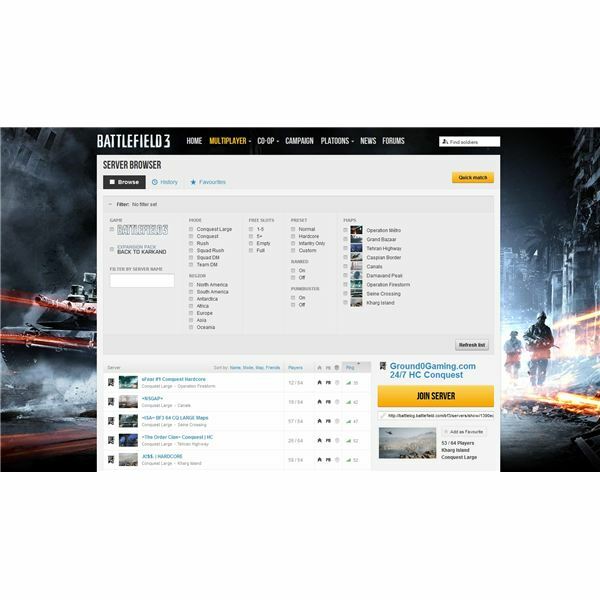 The browser menu is easy and intuitive, but it doesn't offer PC gamers any benefit over the in-game stats found in Battlefield 2. 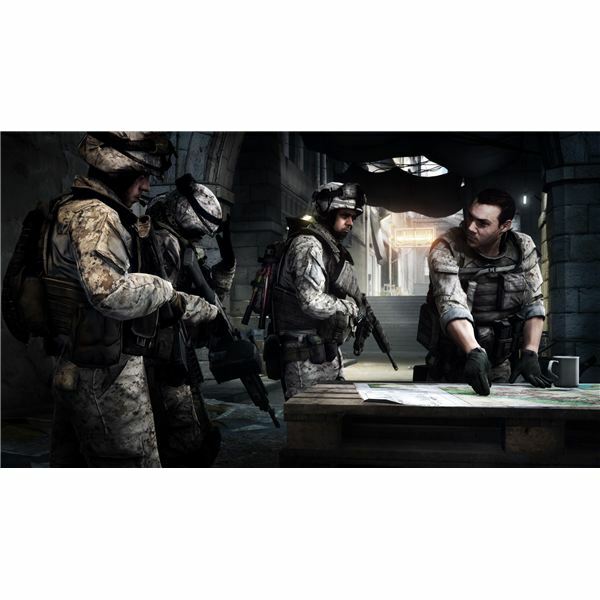 With options to link Xbox Live, PSN, and Facebook accounts, I'm guessing console and PC gamers can mingle on the Battlefield.com website, but the website doesn't offer any additional functionality. Everything on the website feels like it could have been integrated into the game client itself. When you factor in people with less than stellar computers, leaving a web browser open might mean a performance drop in-game. Rarely have I been more frustrated than while attempting to navigate Battlefield 3's game client. Let's start off with the campaign menu. You're able to start up a new campaign, set graphic and sound options, and bind keys. If you want to boot up multiplayer, shut the client down and select multiplayer from your web browser. Key binding is a bit of a pain since PC gamers have three columns for each action: keyboard, mouse, and joystick. I'm not sure who would use the last since they'd be at a severe disadvantage on the PC, but to each his own. You can't just click on an action and then select any key and mouse button either. If you want to bind an action to your keyboard, click on the keyboard column. If you want to bind a mouse button, click on the mouse column. Players should be able to click on an action and then bind whatever key they wish. Have fun switching servers in multiplayer too. The entire client shuts down before you search for another server in your web browser. It's an unnecessary step which takes me out of the game. Since every copy of Battlefield 3 goes through Origin, I'm not sure why they couldn't integrate a simple browser into that program, sort of like Steam's overlay panel. While it's nice to have ability to check out your stats online, it's perhaps the single least intuitive and user friendly menu system I've ever seen implemented in a game. Thankfully, the rest of this Battlefield 3 review won't be nearly so negative just in case any of you were starting to worry about the game. All those complaints on the first page seem absolutely trivial once the game finally loads and you're staring across a huge map. It's impossible to deny how fantastic DICE's Frostbite 2 engine looks, not to mention how well it performs. My computer isn't a slouch with an Intel i7-920, 6 GB of RAM, and a Radeon 5870, but there are certainly faster computers out there now. The game was glitchy and almost unplayable at 1920×1080 with every graphical option set to ultra, but dialing AA back from 4x to 2x and switching most options (except for textures) back to high made the game very smooth. Every map's scope is captured amazingly. If I zoom in through my sniper rifle's scope, I can see tiny soldiers running a solid mile away. Can I hit them? Not at that distance with a mere rifle, but the fact that game performance doesn't grind to a halt even when rendering objects at that distance is impressive. I daresay that Battlefield 3 is a graphical leap over Crysis, which I haven't felt comfortable saying until now. It's easy to tell when a game is developed for PC because it looks absolutely stunning, like the two games I just mentioned, or when it's a console port, like the recent Call of Duty titles. Up until now, dual graphics card options were largely useless since a single Radeon 6970 or GTX 580 could provide a great experience in most games. If your rig is packing two graphics cards, you're in for a real treat. 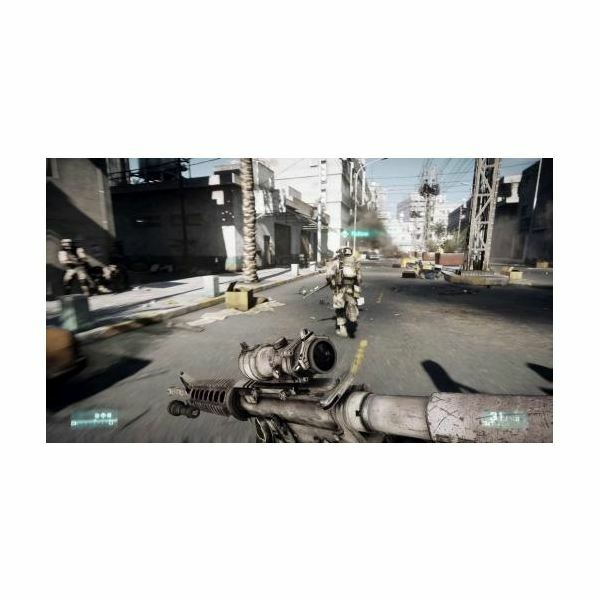 Gamers running CrossfireX and SLI computers experience up to 85% more performance over single card computers, though that wasn't always the case. Regardless, it's great to see AMD and nVidia supporting multi-card gamers more today than they have in past years. 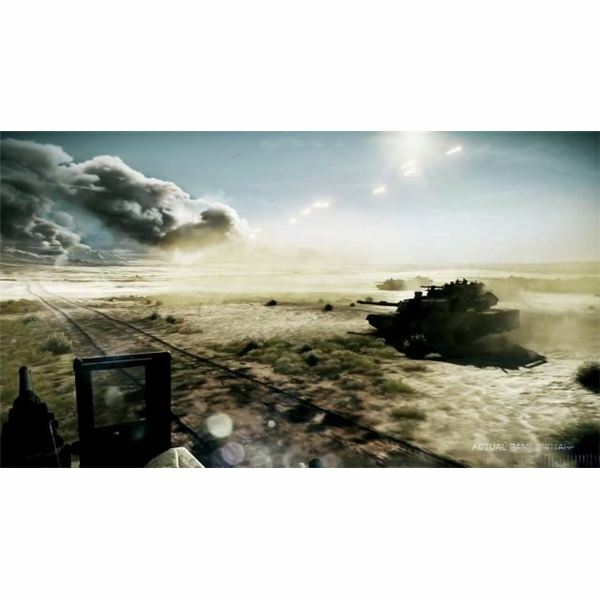 Living up to its namesake, Battlefield 3 tosses you right into the most authentic battlefields out of any video game. The maps are absolutely huge for the most part, and even the "small" ones like Seine Crossing and Operation Métro are big enough to comfortably accomodate 32 players. 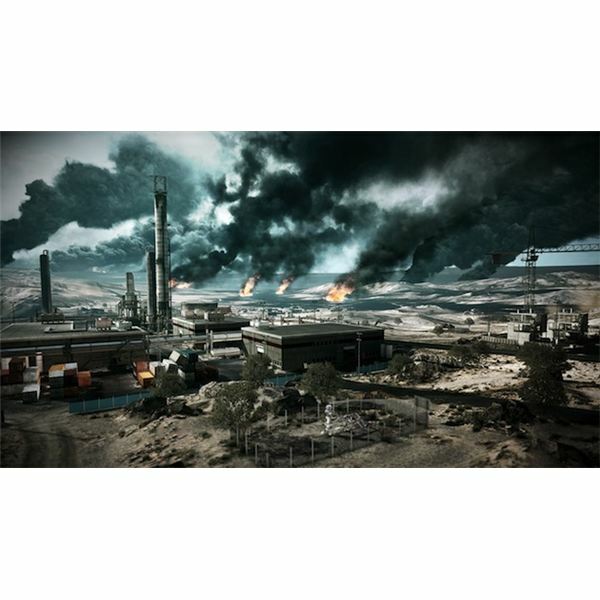 The larger maps like Caspian Border and Kharg Island are perfect for the maximum 64 players. Besides scope, the game nails the atmosphere of a battlefield. Granted, the closest I've been to a real battlefield was the opening night of Harry Potter 7 Part 2 (chaos and confusion? check and check), and my qualifications extend no further than seeing a lot of war movies, but it just feels right to see AA fire lighting up the night, just like on a news program. A hefty amount of fire, smoke, and haze means you're often not sure exactly where the targets are. Sounds always add to the game's immersion. A bullet whizzing close by sounds entirely different from one hitting the ground twenty feet in front of you. Far off gunfire comes across as dull, and every weapon has a distinctive pop. Again, I'm no expert, but the weapons sound authentic. I've only noticed the title theme in the game's soundtrack, so now I'm convinced there's only that one track. Battlefield 3's single player game tries so hard to be Call of Duty, and it ends up feeling like a bit of a rip-off. The story's nothing new. You're a U.S. soldier sent to the Middle-east to combat some (in this case surprisingly well armed and highly trained) militants, and then a tale begins to unfold of an impending terrorist nuclear attack with a few minor twists, held together by some decent voice acting. One of the early missions puts you right into a fighter jet, except you never even get to fly yourself. The Frostbite 2 engine is at its best in this level with a highly detailed cockpit (at least to somebody like me who's never played a flight sim before), complete with chipped and scratched glass overhead and a HUD for targeting enemies in the sky. The atmospheric effects are top-notch with wind and rain howling past. As the jets zoom in and out of various clouds, I almost feel like I'm actually up there. Then I realize that I never get to touch the controls. 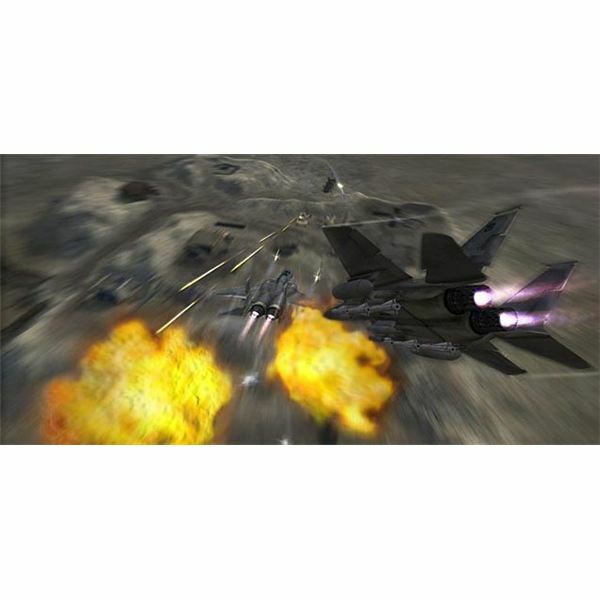 The next fifteen minutes have me shooting off flares, locking onto enemy jets before firing (apparently endless) missiles, and finally targeting ground vehicles and buildings for other aircraft to come in and blow up. It's a very pretty interactive cutscene, but it can't even muster the wow factor of Modern Warfare's AC-130 level. 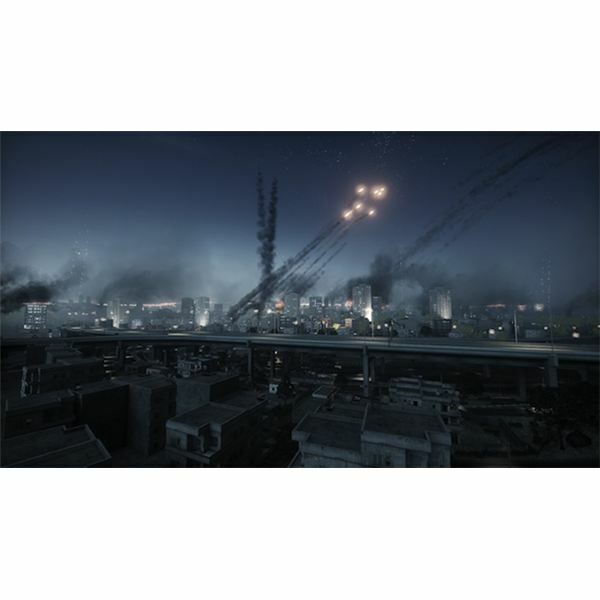 If you like highly scripted campaigns, you'll love Battlefield 3's single player component. Everyone else might want to play through it once just to say they've experienced it, but we all know what the real draw of Battlefield 3 is. Helicopters still confuse me. After lifting off about 100 feet above the aircraft carrier then promptly crashing into the waiting sea, I asked, "how do you fly helicopters?" My teammate, another victim of this tragic accident, simply replied, "not like that." I'm sure I'll get the hang of it in the next few days or so. Thankfully, there are tons of other vehicles to choose from: jeeps, armored vehicles, speedboats, tanks, and jets to name a few, not to mention immobile AA guns and rocket launchers you can use to defend your base against any enemies sneaking up too close. Tanks are pretty easy – just point and shoot, leading your target by a few yards to give your shells enough time to hit home. Other ground vehicles and boats are pretty intuitive as well, but aircraft take some getting used to since you're piloting in three dimensions instead of two. 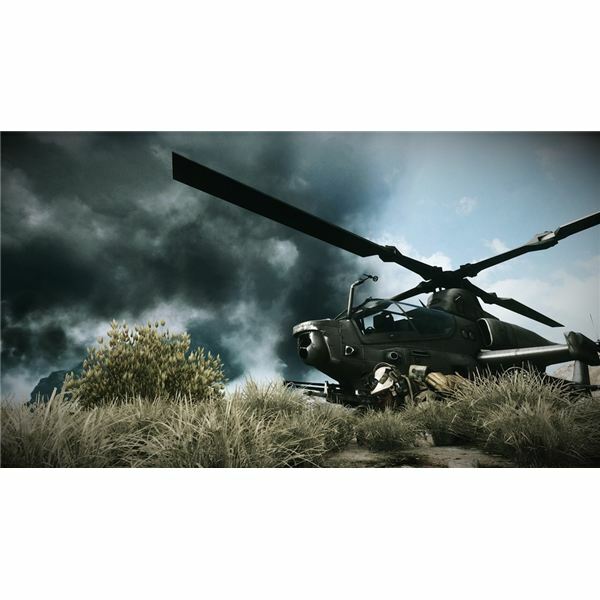 Don't worry about crashing the first few times – it starts to come to you in bits and pieces, just like in Battlefield 2. Vehicles are less than half the battle. Most players will be forced to hustle it on foot since only a few vehicles spawn on each map. Four basic classes, or "kits," are available: assault, engineer, support, and recon. Assault is your standard infantry, wielding an assault rifle but also packing a med pack. Engineers carry slightly weaker assault rifles, but they can also repair vehicles. Support soldiers come with machine guns and ammo packs. Recon is your classic sniper, and they can also plant mobile reinforcement points so your team can spawn close to the front lines. I'm sure there's more to each kit than what I've described, but nobody's leveled up enough to open up all the customization options. Working in a team is essential. I was able a few times to go Rambo on the other team by sneaking behind their lines and then opening up on unsuspecting soldiers running past my hiding place, but it's too easy for a single soldier to get pinned down and flanked. If you're driving a vehicle, your teammates can man extra machine guns or fire out the windows, providing that much extra protection. Thankfully, everyone is automatically placed into a squadron when they log on a server, but I've yet to see players utilizing the game's squad capabilities. After I played a few levels in the campaign, I decided to head on over to multiplayer, which involved going back to the web browser to select a new server. Since I'm playing on PC, servers can have up to 64 players battling it out at once, one of the game's major selling points – no more of this 18 player max business. I naturally chose a server with the max population, and then I started dying a lot. You see, it's been a few years since I dusted off Battlefield 2. I loved that game too, but there comes a time when we have to say goodbye to the things we love, and in the years since, I'd grown pretty rusty. I didn't try out either of the Bad Company titles, Battlefield 2142, or Battlefield 1943. Coming back to the Battlefield series after a three year hiatus was a rude awakening. The first match was the worst since I was completely disoriented. Units in Call of Duty are relatively easy to spot and hone in on, but players hide behind rubble and walls very effectively in Battlefield games so that you often don't see them until it's too late. After a few scoreless deaths, I figured out my Leeroy Jenkins style of play left over from Modern Warfare 2 would serve me poorly. Round one was a disaster, but I resolved to not let that happen again. At the beginning of each match, players can only spawn at their bases, and I ended up right beside a venerable M1 Abrams. Seizing the opportunity, it was time for a joyride along the lines of James Bond's trip through St. Petersburg in Goldeneye. Some great aspects of tanks include 1) being incredibly easy to drive, 2) capable of withstanding a beating, and 3) blowing up everything in sight. Even so, I only racked up four kills before some pesky Russians sneaked behind me with rocket launchers. Don't like enemy soldiers taking cover in a building? Fire a few rounds at the walls and bring the whole structure down on top of them. I still consider myself a pretty mediocre BF3 player, but I'm definitely improving, and I've even been in the top 3 position several matches now. What strikes me about the multiplayer now more than ever is how much fun it is. Every part of the game coalesces into a perfect storm of a shooter – graphics, sound, level design, gameplay, and even the number of players working together to convince me of the game's authenticity. Even when I'm doing terribly, I'm having a blast. That's as much as we could hope for from any multiplayer game. Regardless of skill, the game's not going to feel like a chore. While the Battlefield series has had a ranking system for many years, it seems like every shooter has one now. Battlefield 3 splits up its leveling system by kit or vehicle, so you'll rank up your recon kit if you snipe most of the time, but your other kits will fall behind if you don't give them some attention as well. Every point you earn, even points for participation in a match, contribute to your soldier's overall rank. Soldier, kit, and vehicle ranks unlock new weapons, add-ons, or skills, such as the ability to sprint faster or a secondary machine gun upgrade for tanks. It's not as complex as Call of Duty's leveling system, which rewards players for focusing on specific weapons. 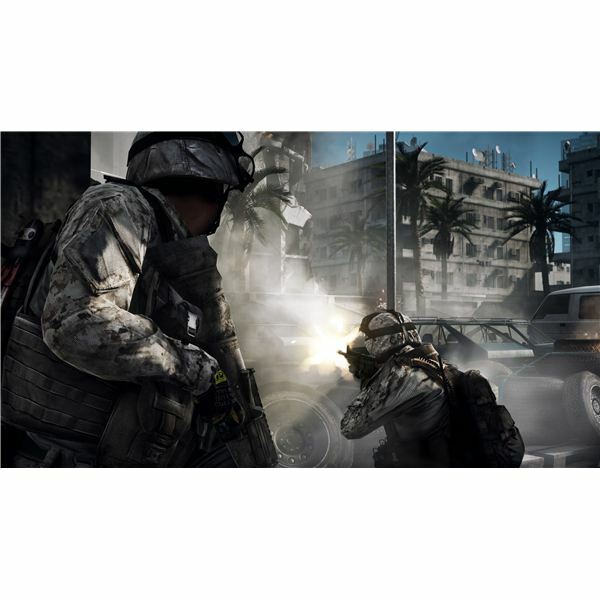 Instead, Battlefield 3 equally rewards styles of play and specific weapons. If you drive a tank around a lot, you'll unlock tank upgrades. The game doesn't care which tank you use most of the time (they play the same anyway). Weapons have upgrades unique to them, which you earn by killing enemies. For example, I have 21 out of 30 kills needed to unlock the foregrip attachment for my M27 IAR. All your stats are available on Battlelog, but you'll need to sign in with your Origin account first. On the website, you can check out your total score, overall accuracy, and top weapons. Go to any of the other tabs to see more specific stats. For example, the weapons tab deatils how much you use each weapon and how lethal you are with them. You can also find out how close you are to unlocking new weapons and addons. Do yourself a favor and shoulder past the single player campaign. It's not terrible by any account (just uninspired), but the real game starts when you boot up multiplayer. I should note that many players are experiencing server lag. The game client itself performs well, and even modest computers allow Battlefield 3 to showcase some of its graphical prowess. The map "Tehran Highway" in particular seems to make servers laggy, and you'll find no shortage of players complaining about how unplayable the map is. I admit that that map seems buggier than most, but I've still gotten a few lag-free rounds of 64 players in with it so far. Is the game a huge departure from previous Battlefield titles? No, but it's as refined as ever. DICE has a real winner on its hands with Battlefield 3, and the biggest "bug" remaining is server stability. I've lost connection between rounds about a third of the time, and then it takes a minute or two to find another server. I'm sure lots of people will be comparing this to Modern Warfare 3, which comes out in less than two weeks on November 8. While we'll have to wait for that title to come out to make a comparison, I will say that Battlefield 3 stacks up very favorably against Modern Warfare 2 in terms of balance. In Battlefield 3, I haven't noticed any of the rampant stupidity of Infinity Ward's last blockbuster (noob tubes anyone?). However, if you're looking for a solid, expansive, and challenging multiplayer shooter, you'll want to give Battlefield 3 a shot. EA Digital Illusions CE. 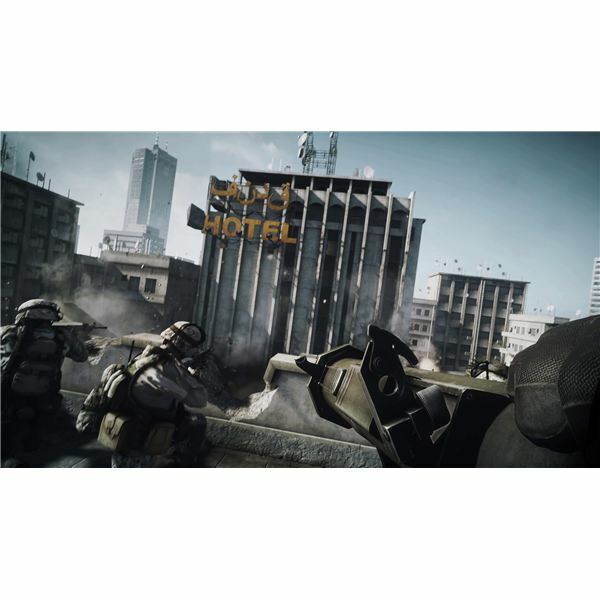 Battlefield 3. EA Games, 2011. Microsoft Windows, Playstation 3, and Xbox 360. Images from Battlefield.com and author's experience.